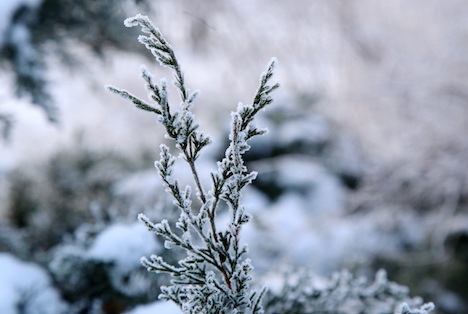 Friday, 1 March, will be chilly in Latvia – air temperature in eastern regions will drop to -8° C at night. Daytime air temperature will also be low. Saturday night will be even colder: air temperature is expected to drop as far as -10° C… -13° C, meteorologists say. Cyclone activity will increase again at the end of the week. A wide cloud area will pass through Latvia, bringing lasting precipitation on Sunday. Warmer masses of air will flow together with moist air, which means air temperature will rise above 0° C during the day and at night, Latvian State Environment, Geology and Meteorology Centre. At the beginning of next week, a cyclone will pass through Latvia from the south-west, bringing rain and wet snow, as well as strong north-west wind. Air temperature will vary between 0° C… +6° C. Only at night air temperature will drop below 0° C.
In the middle of the week, cold masses of air will flow into the country again. Anticyclone activity will increase again, the sky will become clear and air temperature will once again drop below -5° C… -10° C.
Meteorologists predict a new cyclone will approach Latvia from the west in the second half of the week. Under its influence wind will become strong and air temperature will increase to +4° C… +10° C.